These signs point to a clogged print head—especially if you haven’t used your printer for some time. Clean the head by running the printer’s utility program. If you can’t find it, try accessing it from your Print & Fax system preference. Select your printer from the list, and click on Options & Supplies. In the resulting window, click on Utility. You may need to clean the head several times for best results. Be sure to print a test sheet between cleanings to avoid damaging the nozzles. Should the cleaning routine not work, try leaving your printer turned off overnight. The next day, run the cleaning process again. The dried ink will soften, making it easier for the printer to clean. If you have a chronic problem with clogged heads, make a habit of turning your printer off at night. (Turn it off at the printer, not at the power strip.) In some models, doing so will engage a capping mechanism that protects the nozzles. Most printer utilities will let you print a test sheet that uses all the printer’s ink cartridges. If you haven’t printed a color image in a while, print a test sheet before printing a large file—it wastes less ink than a bad print. Most inkjet printers come with a printer utility that lets you perform basic troubleshooting tasks such as cleaning the print heads. This is usually a sign that the print head is out of alignment. There’s not much you can do to avoid this problem—all print heads become misaligned over time. Your printer utility should include an option for correcting the problem. 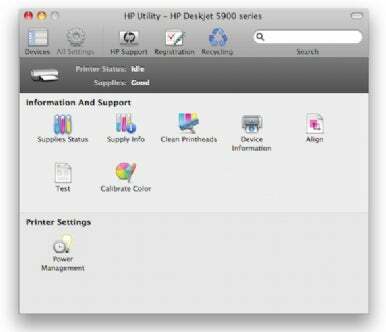 Colors may begin to print inconsistently even before your printer instructs you to replace a cartridge (In OS x 10.6, you’ll see a low-ink warning next to the Supplies button in standard Print dialog boxes). Try replacing them; this may improve color quality. If there’s enough ink but your print seems to be missing a particular color, you probably have a clogged nozzle, so you’ll need to clean your print head. 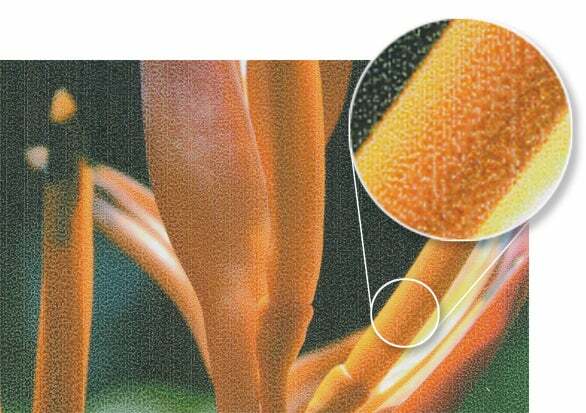 If your print lacks shadows and contrast, the black ink cartridge is the likely culprit. Color quality can also suffer if ink cartridges have been in the printer for more than six months. Try swapping in a new cartridge. If your image looks psychedelic, make sure you haven’t loaded an ink cartridge in the wrong color slot—most modern printers will warn you if this happens. Your paper may be damp, or you may have loaded it with the wrong side facing up. Most papers have only one side designed for printing—usually the brighter or shinier side. When printing from iPhoto, you can select a paper type from the center pull-down menu. If you loaded the paper correctly, try using a different paper setting. Your printer may be using too much ink for the selected paper. (Uncoated papers absorb more ink than coated, or glossy, papers.) In the printer driver, switch to a lower-quality setting, or turn off options that use more ink—the Super MicroWeave setting in some Epson printers, for example. If you’ve already cleaned and aligned your print head and your images still look as though they have old- fashioned film grain rather than smooth gradations, try switching to a higher-quality print setting. If that doesn’t solve the problem, the culprit may be low-quality paper. Try printing on a sheet of the manufacturer’s recommended paper and see if the image quality improves. You’ll usually get the best results—and encounter fewer problems—if you use high-quality paper and your printer manufacturer’s inks. Occasionally, your images may look as if they’ve been printed on very fine sandpaper. Referred to as puddling, this problem often occurs when you select the wrong paper settings in the Print dialog box or use a paper that isn’t designed for your printer. It’s particularly common with glossy paper. This print suffers from puddling—tiny pools of ink haven't been properly absorbed by the paper. To address the problem, open the Print dialog box, switch to the print settings, and verify that you’ve chosen the correct paper stock from the list. Many third-party papers include a tip sheet with recommended printer settings. Banding is often the result of printing at too high a printer resolution—especially when you’re printing on uncoated paper or art papers. This causes the printer to use too much ink. Most printers don’t let you select a specific resolution. Instead, try a lower print-quality setting. 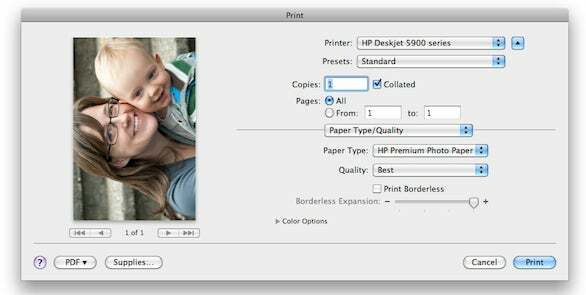 Although it may seem counterintuitive, color should be turned on when you print black-and-white images. This will give you smoother gradations and richer tones than printing with only black ink. Many printers have difficulty producing neutral grayscale images. If you notice a subtle tint when your photos come out of the printer, wait until the print has had time to dry before making any adjustments (try leaving it overnight). The colors may shift while drying and become more neutral. If you still see a tint in your image once it’s fully dry, you may be able to adjust the color balance from your printer’s color-management settings—assuming your printer driver offers this feature. You’ll need to experiment, so when you find settings that work for you, be sure to save them as a printer preset. If your prints look too dark, the paper may be absorbing too much ink. You can tone down shadows by moving the Shadows slider in iPhoto's Adjust panel. To apply the change to just the printed version of the image, access the Adjust panel from the Print dialog. Your first line of defense should be to calibrate your monitor. If your images are still coming out darker or lighter than they look on screen, make sure the gamma setting (which controls the brightness of on-screen images) in your printer driver matches the one you used to calibrate your monitor. 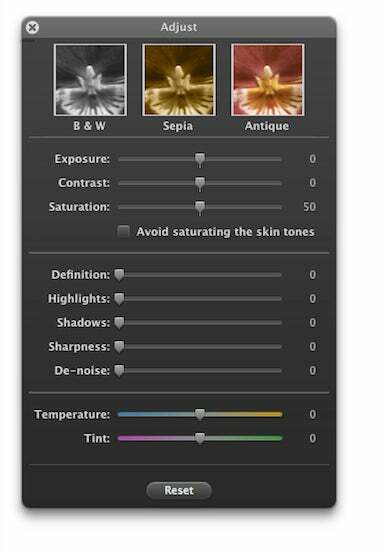 (In some drivers, this setting is listed under the Color Management section in the Print dialog box.) Macs traditionally used a gamma setting of 1.8; however this changed with OS X 10.6. Snow Leopard now defaults to 2.2, which has become the industry standard outside the Mac world. Because of the way papers absorb ink, dark shades of gray may appear as solid black when printed. As a result, images with heavy areas of shadows lose detail and appear too dark. You can compensate for this tendency by lightening the shadows in iPhoto before you print. From iPhoto’s Print dialog box, click on Customize. In the resulting window, click on the Adjust button and move the Shadows slider slightly to the right, taking care to not wash out the rest of your image. By accessing the Adjust controls through this pane, instead of the regular Edit controls, you will limit your changes to just this print—not the original image.